Author Richa Gupta who published her first novel, Phoenix under the pseudonym of Arti Chugpai (an anagram of her original one) is back again with her 2nd novel, Skeins. Her illustrious career of 27 years in the field of education and corporate training has seen her working in many diverse fields – instructional design, project management and pre-sales activities to name a few. 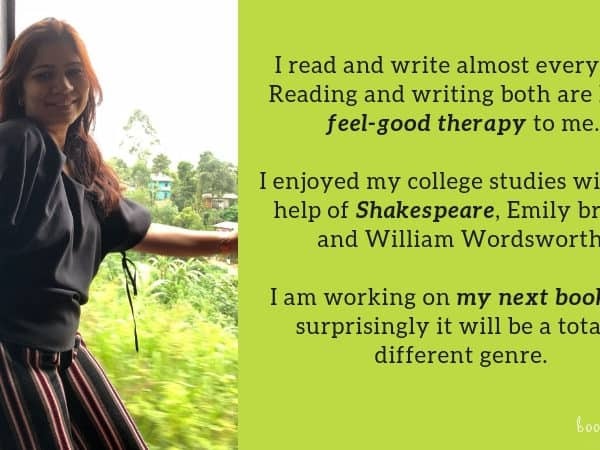 When she is not writing or working, she likes to indulge her senses in travelling, painting, reading or just connecting with people. Her books are always women-centric and with the help of her writing, she aims to bring about a positive change in the lives of women around her. While Phoenix speaks about the sensitive and much relevant issues of societal stigma and gender discrimination, her latest Skeins is about women discovering financial and social independence and learning to live life on their own terms. The book takes us through the journey of 16 diverse Indian women between the ages of 25 to 67 who travel as a part of an all-women tour to Spain and Portugal. Being a voracious reader herself, Richa likes to read a lot and she counts Veronica Henry and Kamila Shamsie among her recent favourites. However, the one book that truly inspired her is Irving Stone’s “The Agony and the Ecstasy” which is based on the life of Michelangelo. We at bookGeeks got a lucky chance to interact with Richa Gupta. Read on to know what she has to say about her latest book Skeins and about the importance of women being their own boss. bookGeeks: You published your first novel under the pen name of Arti Chugpai. Any particular reason behind it? Richa: My first novel contains some autobiographical incidents and is a mixture of fact and fiction. I didn’t want readers to speculate about my life or presume that the story is a factual account of my life. bookGeeks: Tell us something about your latest book, Skeins. What inspired you to write it? Richa: My latest book ‘Skeins’ is a fun read with a galaxy of identifiable characters who go on a trip to Spain and Portugal. Despite being a breezy read, it deals with some critical contemporary issues and reflects the contemporary lives, aspirations, challenges and problems of women. 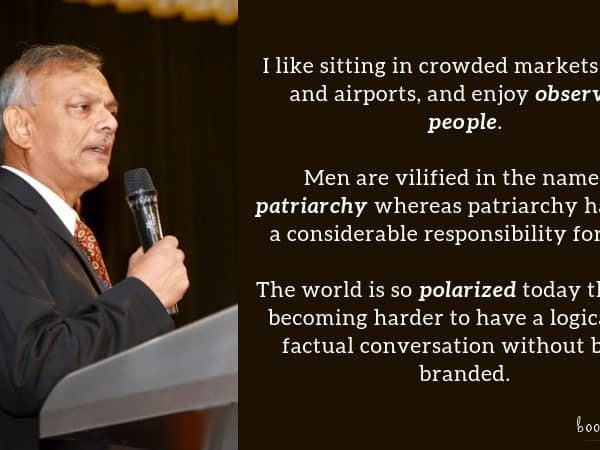 The starting point was my own travel experience followed by my empathy for women whose personal growth is thwarted by an insensitive society. Richa: I think I am the biggest critic of my own work. Also, I find minor flaws after the book is published and I cannot rectify them. 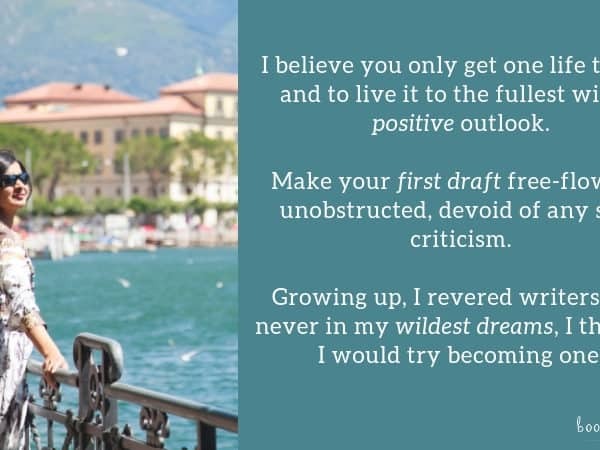 bookGeeks: What inspired you to take up writing? Have you always wanted to be a writer? 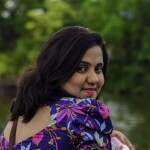 Richa: I have always been writing even while I was teaching English in High School or working as an instructional designer in the corporate sector. I wrote articles in magazines, speeches for events, the textual content for e-learning courses, commentaries for functions, technical content for courses, one-act plays that were enacted by my students and debates that were presented by them. Everyone acknowledged my ability to write well. I was also editing technical content, treatises and educational books. However, I could graduate to writing novels only after I became economically stable as it takes a while for earnings to come in. bookGeeks: How was the experience of publishing your debut book different from publishing your second one? Any lessons that you learned along the way? Richa: The market is flooded with Indian writers and aspiring writers so that it is very difficult to get a publisher’s attention. 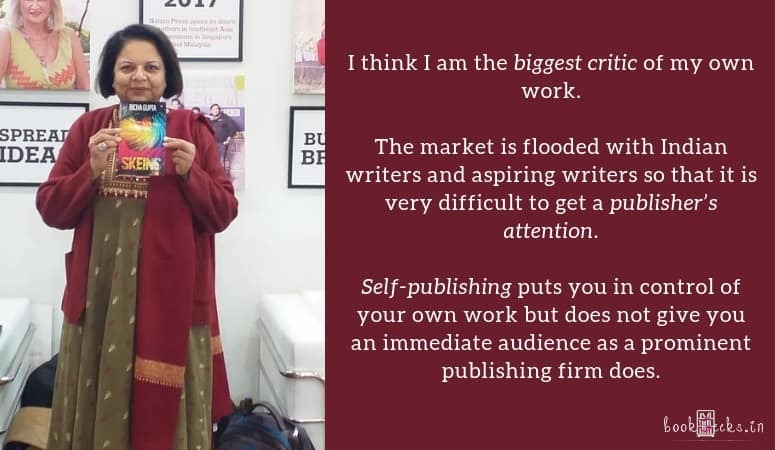 Moreover, an editor in a publishing firm, with scant experience in literary creativity, has the final say in whether a book will be published. One realizes that one is just one more Indian writer in English who has to prove one’s talent to overcome an inherent bias in favour of white-skinned authors writing in their mother tongue. bookGeeks: Any suggestions that you would want to give to aspiring authors who are skeptical about self-publishing? Richa: Self-publishing puts you in control of your own work but does not give you an immediate audience as a prominent publishing firm does. So, there is a plus and a minus to it. Distribution and publicity are better with a known publishing firm but for this, new writers have to accept tough conditions in their contract. Richa: I was working on a few ideas but suspended them to prepare for my son’s engagement and impending marriage. I will resume my writing after his marriage in June 2019.
bookGeeks: How do you engage with your readers? Which mediums do you generally prefer? Richa: I like to interact personally with my readers though social media is a good way to reach them. But, no electronic medium can, however convenient, substitute for face-to-face interaction. bookGeeks: In this age of social media, what kind of a role does digital marketing play in a book’s success? 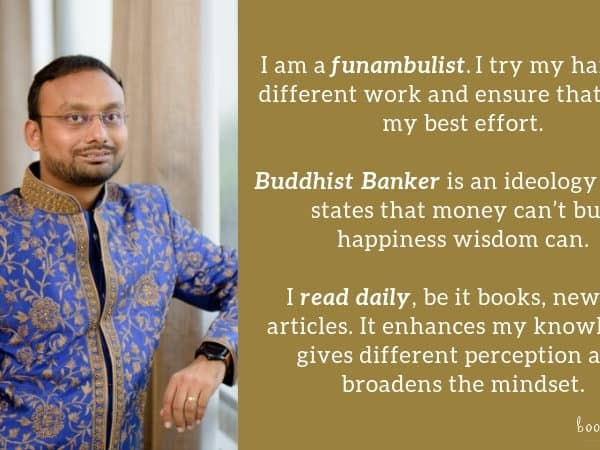 Richa: Nowadays, books are marketed like any other product, and readers purchase them based on the impression they get from digital channels like Goodreads, Twitter, Facebook and reviewer blogs. bookGeeks: Which are some of the best books that you read in 2018? Richa: I am an avid reader, and some of the best books I read this year include Jorasanko and Daughters of Jorasanko by Aruna Chakravarti, A Gentleman in Moscow by Amor Towles and Pachinko by Min Jin Lee.